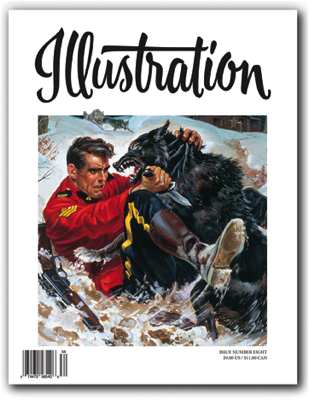 In this issue: The magazine, pin up, and Western art of Ernest Chiriacka; the artists of the Aurora model kit boxes; the magazine, paperback, and Western illustration of William George. Book Reviews, Exhibitions and more round out the issue. 80 pages in full color. Sold out.